I was blessed to be born into the fullness of the faith, a Catholic home. By God's mysterious providence, I was the only one of the four children to be consecrated to our Blessed Mother from the womb. I was also born in the Marian Year and my Mom gave me the beautiful name of Maria Christina. Though I have not always been as attentive to our Lady as I would have liked she has been hovering over me from the very beginning. My walk with my Lord has been quite uneventful by all external standards. Growing up in a small midwestern town, chosen by Toyota for one of its plants because of the dependability and hard work ethic of its inhabitants, excitement and thrill was not seen as a necessity of life. The third of four siblings, life was secure, stable and frugal. My parents were never under pressure to entertain us or take us places. The neighborhood children, a swing set or a doll or an old can, coupled with our imagination, sufficed to keep us happy and on the move. For eight years I was taught by the gentle sisters of St. Francis and this surely had a profound impact on my inner life. I imbibed their faith filled outlook on the Church, people, situations and life in general. The desire to be a religious has always been with me, I do not remember any first awakening. This desire has grown over the years from the first childish attractions to the flowing habit to the desire to belong totally to God as bit by bit I learned what it meant to be a Sister. Side by side with the attraction to religious life there was also the dream of marrying, living on a farm and filling a big house with as many children as it could hold. Even if I became a Sister I wanted to have children but I saw that none of the Sisters had children so this did present a bit of a problem. One day in church this difficulty was rather easily solved by deciding I would be both a Sister and have children, even if the others did not. Obviously, I had not yet learned the facts of life. Of course, at some point I realized this would not work but the two dreams continued to grow as I matured. As a bride of Christ I have seen how exquisitely our Heavenly Father fulfills all our best desires. It has been awesome to see how the callings and attractions of my youth were not just random graces for the moment but have been but the beginnings of a beautiful and integrated pattern, a tapestry that defines who I am in God's eyes. I am sorry to say I was not exactly a good child, I have been defined as a brat. A woman who had known me as a small child was quite amazed when she heard that I was entering the convent. My "brattiness" toned down over the years as I saw that it did not exactly endear me to other people, especially teachers. I loved jewelry, trinkets and frilly dresses.On the other hand, I could play as hard as any little boy, climbing to the top of a tree or being the last to be caught when playing chase. I once asked my Mom if I couldn't wear a dress to play in and her response was simply, "Not the way you play." Around fifth or sixth grade I read "The Story of a Soul", the autobiography of St. Therese of Lisieux. This was the beginning of a life long relationship. I had read her life four or five times by the time I entered the convent, even putting a cover on it and taking it to study period. This was my first introduction to cloistered, contemplative life and my heart immediately embraced it as the life for me, that is, if I did not get married and have two dozen children. As my school years progressed religious life was ridiculed by my peers so my desires were tucked away in a corner of my heart, at least when I was with my friends. My freshman year I had the opportunity to stay a weekend with an active community but when we watched what I thought was a rather sleezy and boring movie one night my "discernment" was made easy. My senior year of high school I had the opportunity to go to a convent boarding school as an aspirant for a very modest price. The aspirancy program was in the process of being closed out so we really were not any different from the other students and mixed freely with them. It was here that I first heard of the Passionist Nuns "across the river" in Kentucky. My heart thrilled as I heard about their life and saw the picture of their habit, which they still wore. By this time my experience had been that religious sisters did not wear the habit anymore and so, of course, it must be the mind of the Church. What was my delight to find out that I was mistaken. Still, I was not sure where God was calling me. I was advised to throw myself into school life, to be faithful to God's will where I was. By being faithful to this moment I would know what He wanted for my life. I trustingly followed this advice and though the question was at the back of my mind I was not unduly agitated by it. Sure enough, one day as I was walking down the long, convent corridor it suddenly came to me that though these sisters were indeed very nice women it was not really religious life according to my heart's desires. I knew God was not calling me to this community of which I was presently an aspirant but I still was not sure where He was calling me. Besides the Passionist Nuns there was another contemplative community that I had been in contact with. They wore a modified habit and had made many adaptations after Vatican II which made life easier. I had grown accustomed to this idea and was not sure I wanted the austerity of Passionist life. Quite unexpectedly on another day, as I knelt to make a visit to Jesus in the Blessed Sacrament, Jesus spoke to my heart. He asked me if I wanted to give Him everything and I knew what He meant. Before my minds eye there was a community living a mitigated life and a community living the full austerity of contemplative life and I had a choice to make. 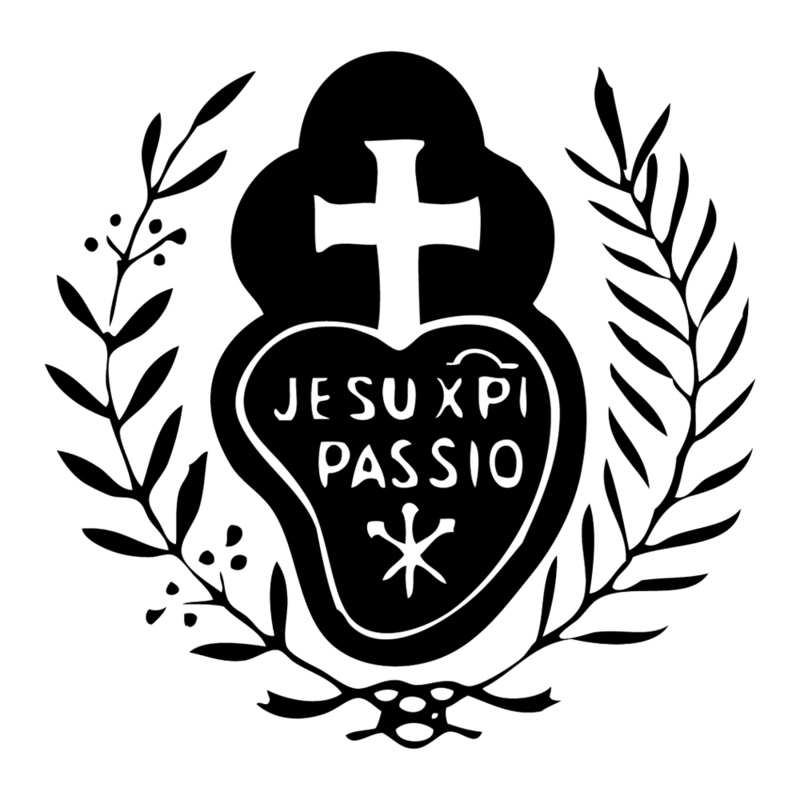 After a moments hesitation, sustained by God's powerful grace, I freely and wholeheartedly embraced Passionist life. I wanted to give Jesus everything, no doubt about it. I had the opportunity to visit the Passionist Nuns and was quite captivated by the aura of mystery in the encounter. In spite of my attraction, a young woman who was directing me advised me that this was not my vocation and so, believing that God was speaking to me through her, I abandoned the idea. The summer after graduation was rather aimless. I was offered part time jobs by three small businesses and I just kept saying yes to each offer. Amazingly the three jobs never conflicted. I had thought I would go to college but just had no umpf to move on it. It was the reading of the life of St. Therese yet again towards the end of summer that I was overwhelmed by the desire to give myself to Jesus as a contemplative nun and again wrote the Passionist nuns. By God's mercy I was accepted and within a month I was behind the cloister walls. When asked my motivation for wanting to be a nun I did not have to search far, I wanted to love Jesus as much as St. Therese. Everything in the cloister resonated with my inner being and it seemed to me that this was the way life was meant to be, wholly directed and concentrated on a loving union with our God. As the years have passed the Lord has brought me into touch, on ever deeper levels, with the reason for my creation, my purpose for being on this earth for this brief moment and I can look back and delight in his pattern. On the natural level I have always loved my femininity, from dresses and jewelry, to nurturing anyone smaller and more helpless than myself. One of the special graces of my life is to know my name of grace, Woman. In Genesis God created the woman to be the helpmate of the man. This text exploded for me during a retreat some years ago. To put it briefly, I saw that the man was the Son of God and humanity is the woman, created to help Him in adoring and loving the Father for all eternity and bring others to do the same. With the fall their would be the added dimension of redemption. What an awesome reality to see myself as Woman, in union with our Bl. Mother, helping the Man, Jesus Christ, to adore and love the Father and bring many others souls to do the same for all eternity through the living of consecrated virginity for the sake of the kingdom. I pray and offer my sacrifices, such as they are, day and night, that all my children will know the reason for their existence and enter into the loving adoration of our Heavenly Father in union with the whole Mystical Body of Christ.